eBoundHost Review 2019: Is eBoundHost a Good Hosting? eBoundHost is a reliable, trusted and experienced web hosting solutions vendor based in the United States. Compared to other hosting vendors, eBoundHost is quite affordable, especially because of the ability to customize the solution to your needs. Established in 2000, eBoundHost is a web hosting provider based in the United States. Over the years, eBoundHost has gained a reputation for excellent hosting services for individuals and organizations across America. The vendor’s website is only available in English. 100% uptime guarantee – few hosting vendors can guarantee 100% uptime, yet, eBoundHost does. For over 18 years, the company has lived up to its promise of 100% uptime. Unmatched security – eBoundHost automatically backs up your websites to its remote servers. They also streamline the process of restoring your websites disaster recovery. Ultra-fast SSD storage – All eBoundHost server drives are SSD including in the non-production servers, the company’s way of guaranteeing lightning-fast storage to all its customers. For beginners, there is a learning curve to using eBoundHost services. The incredibly long list of features would be best appreciated by expert users. Compared to other hosting vendors, eBoundHost is quite affordable, especially because of the ability to customize the solution to your needs. The hosting provider allows you to select your storage and performance requirements and a corresponding payment value. While eBoundHost does not offer a free version for any of its hosting plans, they all come with a 30-day money back guarantee. This no-questions-asked money back guarantee is the company’s way of assuring you that you will find satisfaction in the hosting solutions they provide. eBoundHost is proud to provide excellent 24/7 technical support to all its customers. The vendor’s technical support team is professional and takes time to understand your situation, and ultimately offer a workable solution. eBoundHost has included a phone number on its website that you can call for help with any hosting related issue. However, the company has no live chat or support email address. For people who would be satisfied with over-the-phone support, then eBoundHost customer service would be satisfactory. When I called this number, I was immediately connected to a technician who was quite resourceful in answering all the issues I raised. eBoundHost is a flexible website hosting provider that accommodates organizations of all sizes. With a proven track record of reliability, trust, and experience, it is not hard to understand why many in the United States and beyond have made it their preferred website hosting solutions provider. 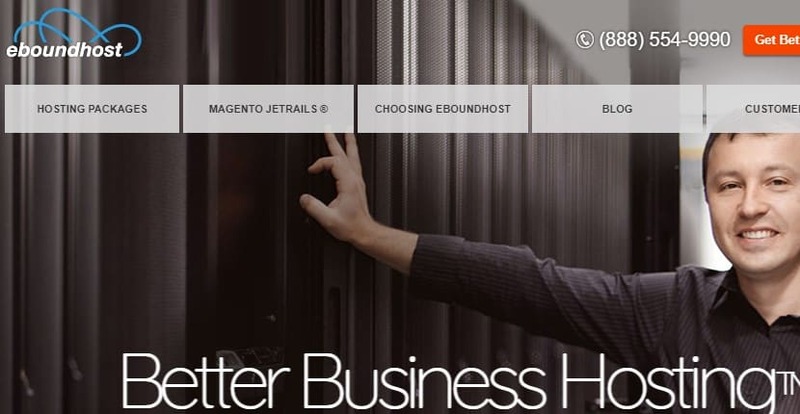 Wondering how eBoundHost stacks up against other Web Hosting companies? Enter any other Web Hosting company and we will give you a side-by-side comparison.